Here is it folks! What you’ve all been waiting for, the infamous crack slaw recipe. This is not my recipe, I found it on Facebook somewhere and there seem to be a lot of variations online. This version I’m posting here is not Whole30 compliant but I made the changes to make it compliant. So I’ll post it exactly as it’s supposed to be and then in parenthesis tell you what I changed to make it okay. I love this recipe so much I’m making it again this week, for the second week in a row. It’s so versatile I can literally eat it for any meal. One of my favorites is breakfast with a runny yolked egg or two on top. 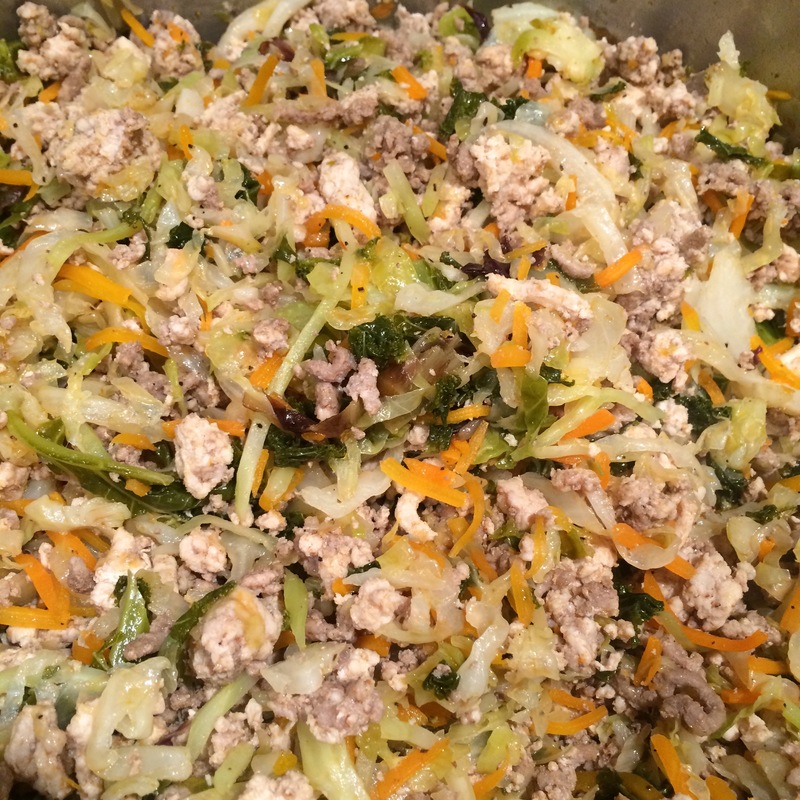 Cook the ground meats in a pan and add seasoning, then add hot sauce and soy sauce or lemon juice (whichever you are using), lastly add in the slaw mixes and cook until it becomes soft. Here’s what it looks like…pure amazingness!